Saute chops in oil, until both sides are browned. Approximately 5 minutes per side. Remove pork chops from pan, and set aside. In the same pan, melt the butter and add in apple and onion slices. Cook approximately five minutes until tender. Add in spices, brown sugar, chicken bouillon and water. Heat to boiling and reduce to medium simmer. 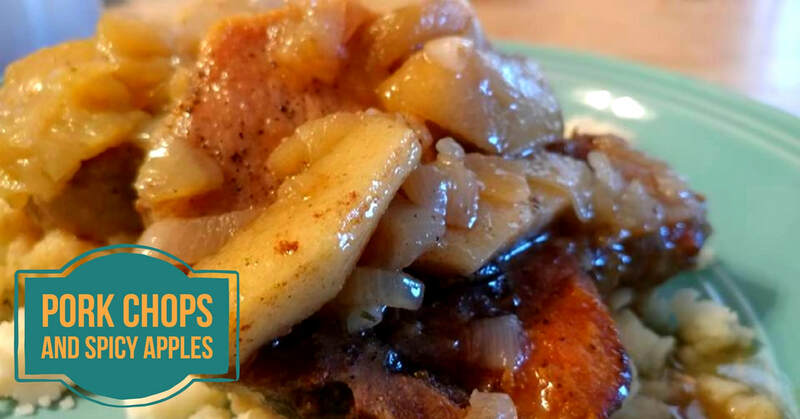 Place pork chops back in the pan, covering the meat with the apple and onion mixture. Continue to simmer until liquid is reduced by half.